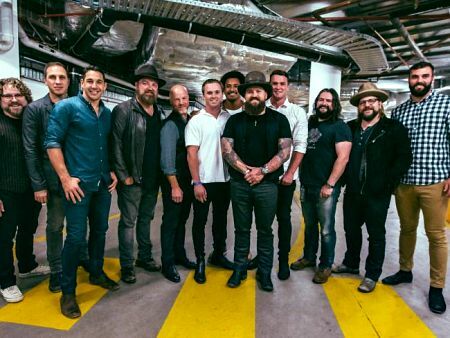 Dual Grammy winning Georgian Zac Brown Band headline Nu Country TV on Saturday September 2 at 9 pm on Channel 31/Digital 44. Fellow Grammy winners and recent Australian tourists Little Big Town also return to the program repeated Monday 8 am and Sunday at 1 am. South Dakota born Sam Outlaw and prolific Grammy winning mother of five Lori McKenna also perform on the show filmed and edited by Laith Graham. 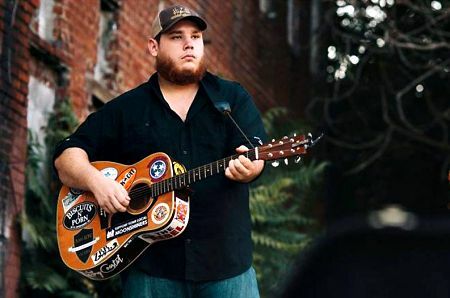 North Carolina nouveau outlaw chart topper Luke Combs returns in Behind Bars with his latest humorous hit video. And New Zealand singer-songwriter and TV show host Aly Cook hosts her mystical train trip in the wild west of Sydney. Viewers can access new and previous Nu Country TV shows at the same link. Chart topping Georgian octet the Zac Brown Band with a live version of a paternal paean they showcased here on their third Australian tour in April. Zac, 38 and father of five, eulogised his dad in song and on the big screen in his video for My Old Man. The song shares a similar theme to the late Harry Chapin's huge hit Cats In The Cradle , and is on Zac's eighth album Welcome Home. Zac's band played to a capacity crowd at Margaret Court Arena with globe-trotting East Ringwood raised Pierce Brothers. CLICK HERE for a Zac Brown Welcome Home CD feature in The Diary on June 19. CLICK HERE for their live review in our Concert Reviews on April 19. 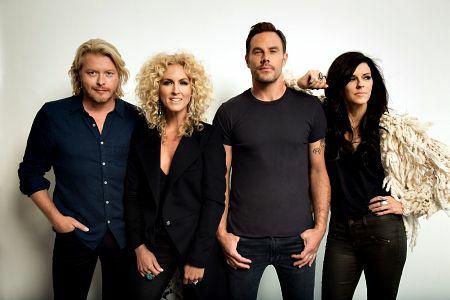 Dual Grammy winners Little Big Town , who played Hamer Hall with Kip Moore in March on their second Australian tour, provide the secrets to a happy life on this week's show. The quartet, formed in 1998, give sound advice in their joyous video - don't cheat, lie, steal, hate, be greedy or hold grudges. It was written by Lori McKenna who also returns this week. Their McKenna penned best-selling country hit single Girl Crush won Best Country Song at 2015 Grammy and CMA Awards. The reigning Grammy Country Duo/Group and CMA and ACM Vocal Group of the Year was inducted into the Grand Ole Opry in 2014 by Reba McIntire. Band members are Karen Fairchild and Kimberly Schlapman, both 47, Jimi Westbrook, 45, and Phillip Sweet, 42. They rely on four-part vocal harmonies with all members alternating as lead singers. Westbrook and Sweet also play rhythm guitar. The band's 2002 self-titled debut album was followed by 2005 platinum disc The Road to Here , A Place to Land in 2008, The Reason Why 2010, Tornado 2012, Pain Killer 2014, Wanderlust 2016, and The Breaker (2017). Their No. 1 singles Pontoon and Girl Crush followed top 10 hits Boondocks, Bring It On Home, Little White Church , Tornado, Day Drinking and Better Man. Karen Fairchild and Jimi Westbrook married on May 31, 2006, and have a son Elijah Dylan Westbrook, now six. Kimberly Schlapman and second husband Stephen have two daughters - Daisy Pearl and Dolly Grace. The Schlapmans have been married since November of 2006 - she was previously wed to Steven Roads who died of a heart attack in 2005. At the time she and Stephen Schlapman - who had lost a close friend - were “just really good friends,” but they bonded over their grief and fell in love. Sweet and wardrobe stylist wife Rebecca have a nine year old daughter Penelopi Jane. Luke, just 27, proves how he was a winner at the Moose Club and a Hooter's car park. The video kicks off the morning after a raging house party, complete with a flaming couch on the front lawn and drunk friends sleeping on the roof. Combs is passed out on a bed and his furious girlfriend dumps him. “I won a hundred bucks on a scratch-off ticket / bought two 12-packs and a tank of gas with it / she swore they were a waste of time, oh, but she was wrong,” Combs sings in the chorus. Later in the video Combs former lover returns to try and make up but he's long gone. When It Rains It Pours is on Comb's debut album This One's For You that includes chart topper Hurricane and followed three indie EPS. Combs grew up in his home state's music mecca Asheville and also appeared on Nu Country with Hurricane and live versions of strident social comment Can I Get An Outlaw and Used To You. Luke praised mentors including late Hank Williams, Merle Haggard, Johnny Cash and Waylon Jennings in his parody of faux modern country stars. Hurricane was an accidental hit born from a $200 mistake that almost derailed his career. Luke hadn't cut his final vocals but one song sounded good enough - Hurricane . Combs mastered just that track and sold 14,000 copies in the first week, allowing him to finish the album. Luke recently toured with Georgian Brantley Gilbert to promote his album that includes Hurricane, One Number Away, When It Rains It Pours, I Got a Way With You and the title track. 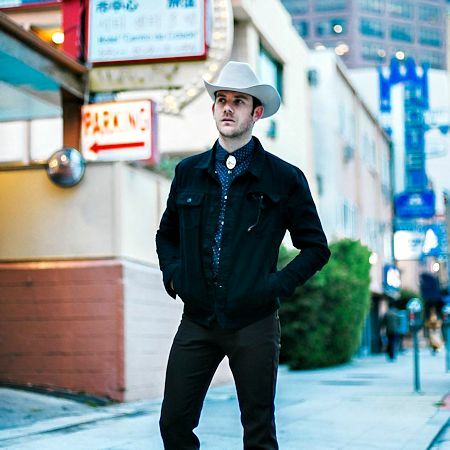 South Dakota born Sam Outlaw tried to escape sin at the famed Viper Room in Hollywood on his return to Nu Country. Outlaw fled a vixen on two legs and four wheels but she found him and his band in their Hollywood retreat. Trouble is on Sam's second album Tender-heart that will hopefully score an Australian release. Outlaw toured Australia in 2015 with concerts at Seaworks in Williamstown, Meeniyan Hall and Northcote Social Club. He spent much of his life on the road since leaving his South Dakota home where he was born Sam Morgan. Sam, now 35, adopted Outlaw - his mother's maiden name - and followed his musical dreams west and to Australia after he released an indie 2014 EP. “The music I play, I call 'SoCal country,'” says Outlaw who has toured with Kentucky born singing actor Dwight Yoakam and Texan Clint Black. Dual Grammy winning Massachusetts minstrel and mother of five Lori McKenna returns with a new live video. Lori, now 48, penned Grammy winning Little Big Town hit Girl Crush and singing actor Tim McGraw's smash Humble And Kind. Her new hit The Bird & The Rifle is also title of her Dave Cobb produced 11th album. Lori wrote Humble and Kind in her pajamas in May 2014 at home between school drop-off and pick up. “I'd dropped the little kids off at school and then came home. I keep a guitar in the dining room because it's at the front of house, and I tend to sit there sometimes and look out the window at the people going by. I'm such a weird neighbour,” Lori revealed. McKenna wrote it for her family - husband and five children - and said it was her list of all the things she wanted to make sure she'd told them. “I saw this as a very simple song,” she said of her tune that won her a 2017 Grammy and was a hit for Tim McGraw. McKenna and Brandy Clark, 40, wrote Three Kids No Husband for Lori's eighth album Numbered Doors in 2014 after meeting a woman with five children and no husband. 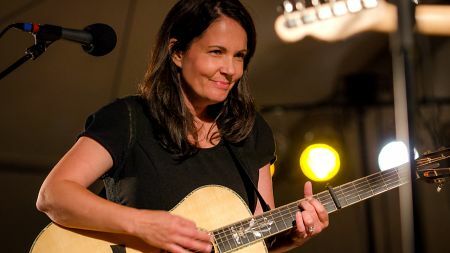 It also appeared on Clark's second album Big Day In A Small Town and was inspired by a YouTube video Clark created to introduce Pray to Jesus from her 2013 album 12 Stories . Kiwi singer Aly Cook debuted on Nu Country in 2006 with Country Storm . This time she takes a train trip in the wild west of Sydney to Strathfield and Burwood stations to illustrate her song Western Line. Cook texted her lyrics to a friend on another trip from Double Bay to the Blue Mountains . “Unfortunately, only three stations made the cut in the song Central, Town Hall and Redfern otherwise it would have gone on for 30 minutes,” Cook revealed. “Strathfield spiked fond memories as I was texting the lyrics along the way. “Many years ago I used to visit a beautiful, old home on Chalmers Rd , where many a good times were had. I was thinking about the train rides of old time and how Sydney is such a beautiful place steeped in history." The video features an old-world train ride on the inside of a vintage train and flicks to a modern Sydney on the outside characteristic of the lyrics. It features Brendan Dugan, Nik Brown and Aaron Coddel on double bass and staff from Glenbrook Vintage Railway in Auckland. “I wish to dedicate this single release to the late Graham Brazier,” Cook explained. Western Line is the sixth single on the Nelson singer's second indie album Horseshoe Rodeo . Aly performed festivals in Italy , Norway , Germany , Spain and Poland with Rosanne Cash and Laura Bell Bundy. Cook returns to Australia for spring music festivals in Mildura and Van Diemen's Land. She previously played Sydney 's historic Basement and sold out Sydney Opera House show for The Jimmy Little Foundation.